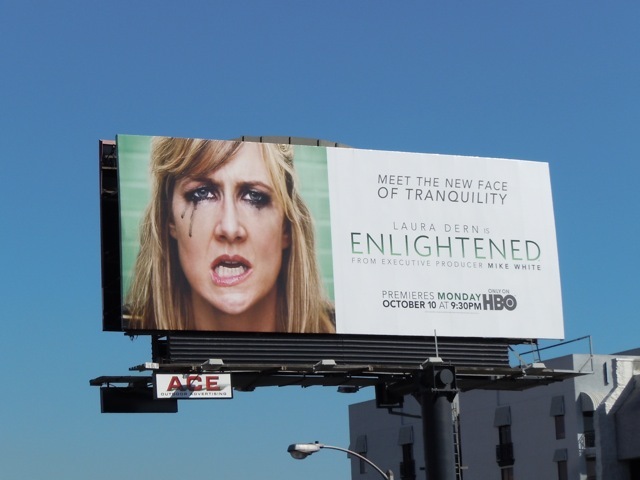 Daily Billboard wonders if Jurassic Park star, Laura Dern, ever pictured being this unglamorous and making such a giant spectacle of herself along L.A.'s Sunset Strip. This unconventional visual is almost the opposite of enlightenment and tranquility, so that's why it makes for such an arresting image. 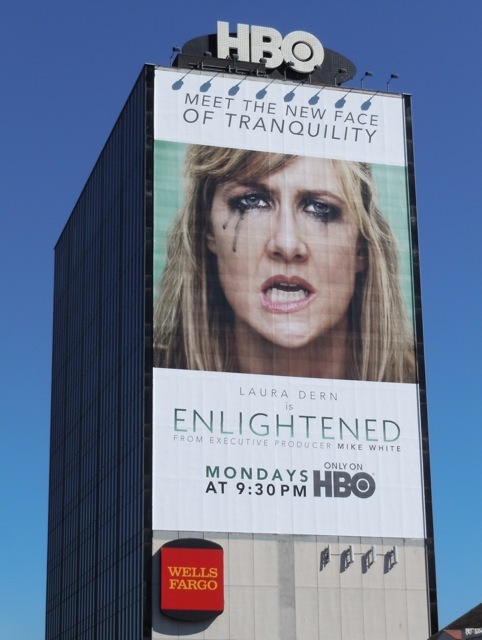 The actress plays 'Amy Jellicoe' who has a rather public meltdown at work and consequently goes away to contemplate and meditate, then returns to pick up the pieces of her life. 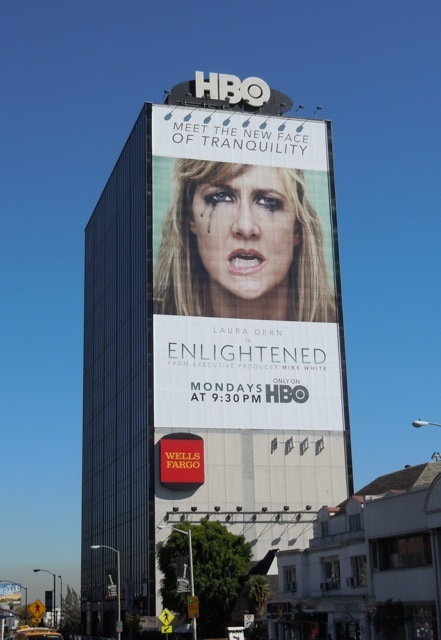 The standard size billboard for HBO's new show, Enlightened, was captured on October 6 and the super-sized version towering over Sunset Boulevard on October 13, 2011.